The Carbon Design team will stay in Seattle, while working closely with the Product Engineering, and R&D teams. Oculus just announced via its Kickstarter page that it has acquired Carbon Design, the design firm responsible for the Xbox 360 controller. Oculus, itself bought by Facebook just a few months ago, has "been working with Carbon for nearly a year on multiple unannounced projects," which likely led to buyout talks. Details are sure to emerge, but no substantial changes to the Carbon Design team were announced today. The firm will continue to work out of their Seattle, WA offices, while collaborating with the Oculus Product Engineering, and R&D teams across California, and Redmond, WA. Carbon has worked with a number of clients in the past -- and collected dozens of awards in the process -- but much of the company's work has been with Microsoft. 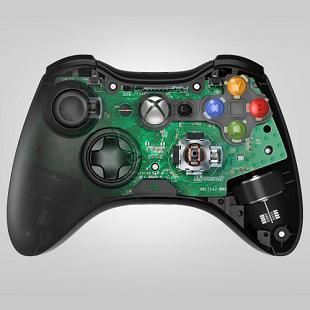 Carbon was involved in the design of the Xbox 360 controller, Xbox 360 Kinect sensor, other Xbox accessories, as well as PC peripherals and packaging for Microsoft. Oculus expects the acquisition to be fully complete by the end of the summer (presumably by the end of Q3 2014). A virtual reality headset, designed by Carbon, with Oculus guts and know-how? Color me intrigued. Leave your thoughts on the purchase down in the comments.